Brief Description Therapeutic Massage Services offered, as well as Reiki. Description Balanced Life Massage Therapy offers therapeutic massage services in Westminster, MA. We are located at 71 Main Street, Suite 2B. Massage therapy options include Swedish Relaxation Massage, Deep Tissue Massage and Prenatal Massage. Our beautiful space is warm and inviting, complete with a heated table. As soon as you enter the space, you may feel instantly relaxed. Our focus is on your comfort, always striving to provide the most nurturing massage therapy session possible. Facilitating an experience that is client centered is our goal. Conservative draping is used to honor the safety and security of all our clients. Charity Parrott, LMT is the sole proprietor and massage therapist at BLMT. Charity has an extensive background in prenatal services. She has spent the last decade as a birth doula and childbirth educator. She has attended over 100 births in area hospitals, mostly working in Boston hospitals and Worcester hospital. This experience has made her an intuitive healer. Prenatal massage therapy is a specialty at BLMT. Appointments may be scheduled online or by phone. Questions may be submitted through our website or we may have a conversation by phone, to ensure all your concerns are addressed before an appointment is scheduled. We look forward to serving you. Your comfort and relaxation is our priority at BLMT. 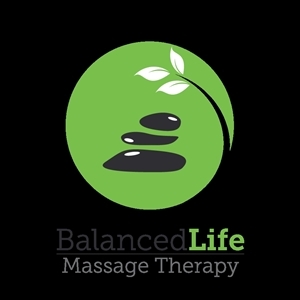 Add Balanced Life Massage Therapy to your free online travel itinerary.